On this octave day of the Immaculate Conception, it occurred to me that it was in 1956, six years before the Missal of 1962 was promulgated by Pope John XXIII, that the Feast of the Immaculate Conception lost its octave and became a feast celebrated in the course of one day. A similar simplification occurred in 1955, when Pope Pius XII accepted the suggestions of Fr. Annibale Bugnini concerning the reform of Holy Week. 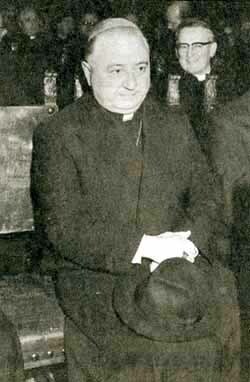 (1) Seven years later, Pope John XXIII himself would accept the suggestions of the same Fr. Bugnini to simplify Catholic pious devotions and remove the octaves from the Church calendar. Why did John XXIII agree to Bugnini’s proposition to reform this feast of the Immaculate Conception? Several answers can be given to this question. Here I want to stress just one point that I present as a hypothesis. The answer seems related to the fact that John XXIII also failed to consecrate Russia to the Immaculate Heart even though he knew he should do so. That was in 1960 after the Pope read the Third Secret and decided that “it was not for our time,” even though Our Lady had explicitly asked the Pope to make it known at that time. There is more that could be said but others have addressed the issue of Fatima in great detail, so I will not repeat what they have already written. I think that when we disobey the will of God, we receive a curse from God rather than a blessing. St. Thomas Aquinas taught that when a person receives such a curse, God allows increased demonic activity and influence in his life, or if it happens to be a Pope in question, that demonic power would extend to the Church and the world. At La Salette, Our Lady told Melanie that in the 1840s Satan and some of the other most powerful devils were released from Hell to punish mankind for sins committed. This fact was confirmed in a revelation received by Pope Leo XIII more than a half century later. After Mass one day, he had a vision of the confrontation between Jesus and Satan. The latter boasted that he could destroy Christ's Church if he were only given more time, which was granted to him. Shortly after this vision, the Holy Pontiff composed the St. Michael prayer [click here] as well as wrote several encyclicals on the Rosary. He also ordered that the St. Michael prayer, in addition to three Hail Marys, the Hail Holy Queen, and a prayer for the Church should be prayed at the end of every Mass for the conversion of sinners. These prayers were made optional in 1962, and abolished in 1965. Where disobedience increases, degeneration increases, and as Fr. Patrick Perez pointed out in a recent talk in Indianapolis for the Catholic Family News Conference, this corrosion of the liturgy did not begin in 1969 with the New Mass. It did not begin even with the 1962 Missal. It began much earlier. Why did it happen? 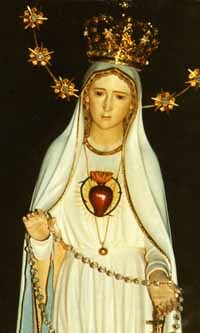 In 1929, Our Lady appeared to Sister Lucy in Tuy, Spain, requesting the Consecration of Russia to her Immaculate Heart. She wanted the Consecration made not only to bring about millions of conversions to the Catholic Faith, but also so that those who adhered in substance to the Catholic Faith would be more faithful and zealous. By failing to honor the Immaculate Heart of Mary and fulfill the requests that would establish devotion to her Heart throughout the world, as Our Lord desires, the last Popes in succession became guilty of greater and greater disobedience to the Divine Will. Just as a disease that is not cured spreads, so it happens with a malady in the Church. The internal crisis in the Church becomes worse and worse so long as the right remedy is not applied to it. As the power and influence of Satan and his minions increase, the temptations to sin become greater and it becomes more difficult to resist, although it is never impossible. We must always keep before us the horror of all sin, especially mortal sin, in order to keep up our resistance to the evil of our times. Wherever we go, we should consign Jesus and Mary to go with us. They witness our every action. Now, if we further reflect that the season of Advent commemorates that time when Our Lady was preparing to give birth to the Redeemer, then we realize we should ask her protection in the name of the great love she had for her Son. By honoring today the octave of Our Lady's Immaculate Conception, we prove to her and to Almighty God that we will not accept any rebellion against the will of God, not even the trial balloon of the 1962 Missal. For already at that point in the game, Progressivism was preparing its great assault on the Church, which was Vatican II. It is this kind of firm resistance to errors and concessions toward Progressivism that will help us to also resist temptation to mortal sin in our personal life, obtaining for us the graces necessary to remain firmly planted in the footsteps of Our Lady and Our Lord, far from Satan’s wicked instruments. 1. The decree Maxima Redemptionis, which introduced the new rite in 1955, changed the times of the ceremonies of Maundy Thursday, Good Friday, and Holy Saturday to evenings. It also suppressed the Last Gospel for the Masses of Holy Week, the psalm Judica me for the Prayers at the Foot of the Altar, initiated the practice of the priest facing the people in certain places, diminished the role of the priest in the readings, changed the Prayer for the Conversion of Heretics to the Prayer for Church Unity, introduced the vernacular in places, and many other such innovations.